The main witness against Torgler was Gustav Lebermann, who was at the time serving a prison sentence for theft and fraud. In court he alleged that he had first met Torgler in Hamburg on 25th October 1931. He was told to prepare for a "big job" in the future. 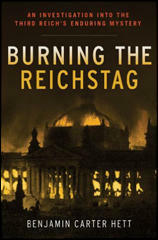 On 6th March, 1933, Torgler offered him 14,000 marks, if he set fire to the Reichstag building. Lebermann claimed that when he refused Torgler punched him in the abdomen. Alfons Sack was killed in Brandenburg during a bombing raid in 1944. By John Simkin (john@spartacus-educational.com) © September 1997 (updated April 2016). I was concerned with only one question: is the man guilty or is he innocent? Only if I could be reasonably certain that Torgler had entered politics for idealistic reasons and not for selfish motives and that he had never made personal capital out of his political beliefs, would I find it within me to accept his defence. © 1997-2014 Spartacus Educational Publishers Ltd.